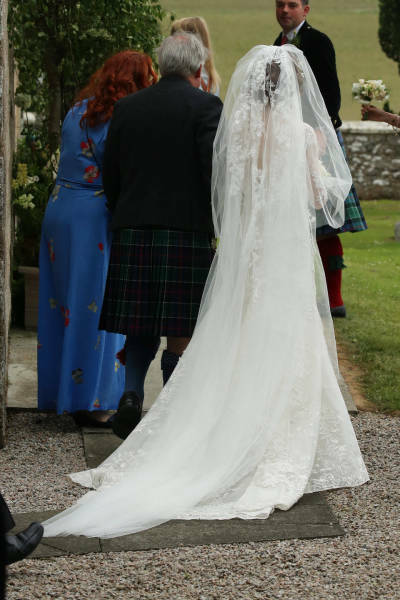 Rose Leslie arrived at the Scottish wedding venue in an elegant lace gown with long sleeves. Her stunning veil and long train evoked a soft, romantic tone for the big day. 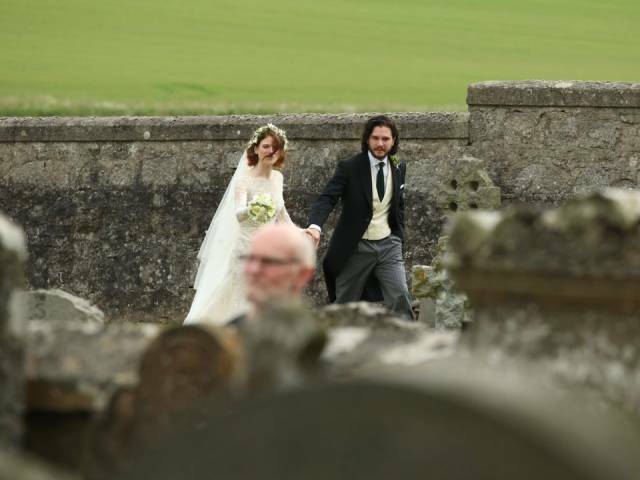 Harington wore a tuxedo with a cream-colored vest and tails. 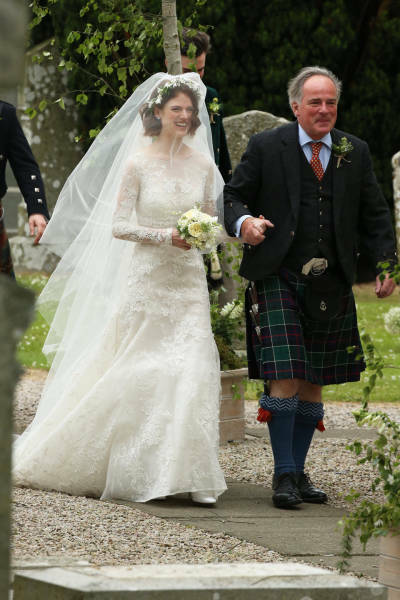 The couple walked hand-in-hand through the garden after their private ceremony. 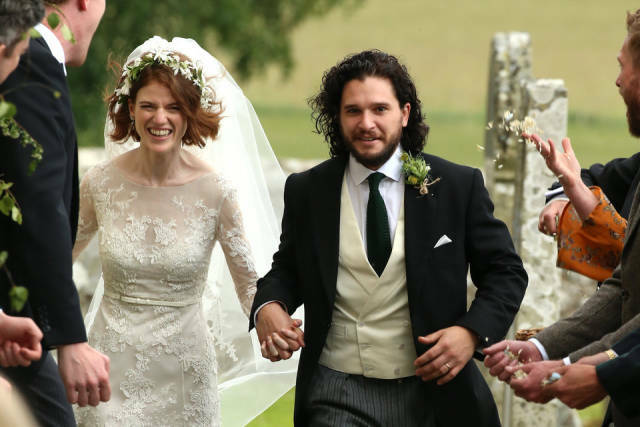 Leslie and Harington emerged beaming. Harington wore a classic tuxedo with a cream vest. 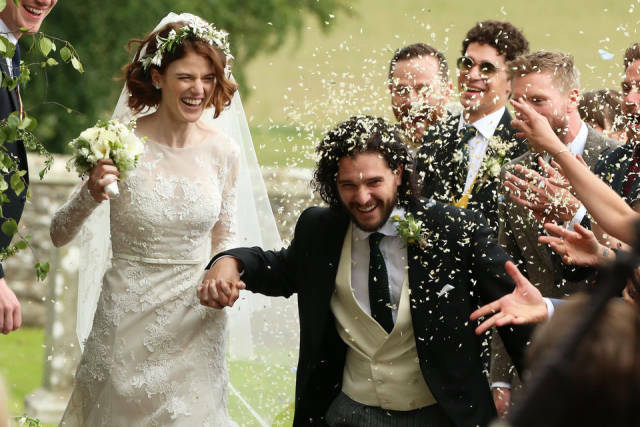 Leslie and Harington first met on the set of "Game of Thrones" back in 2011. 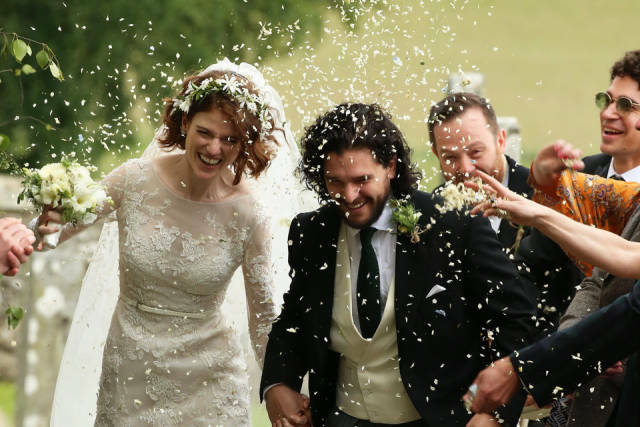 They both became close friends with co-star Emilia Clarke (Daenerys Targaryen), who arrived at the wedding with Peter Dinklage (Tyrion Lannister). Other "Game of Thrones" stars were there, too, including Sophie Turner and Maisie Williams (Sansa and Arya Stark). 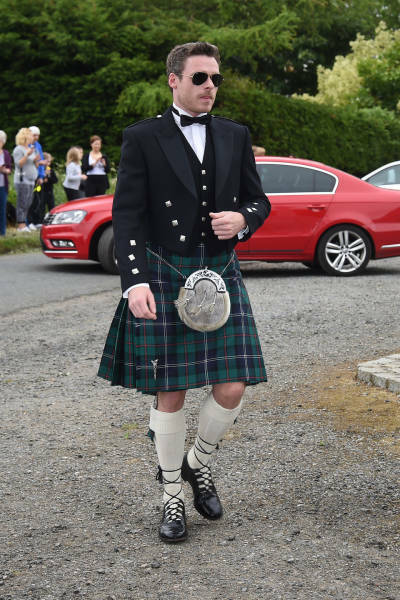 Richard Madden (Robb Stark) made an entrance in a kilt. 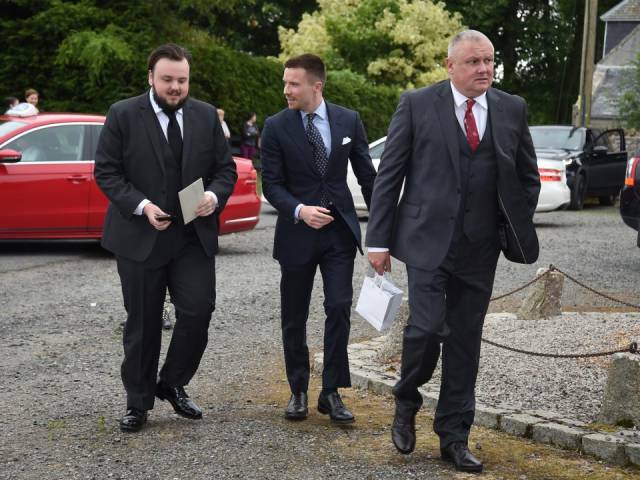 John Bradley (Samwell Tarly), Joe Dempsie (Gendry), and Conleth Hill (Varys) all arrived together. 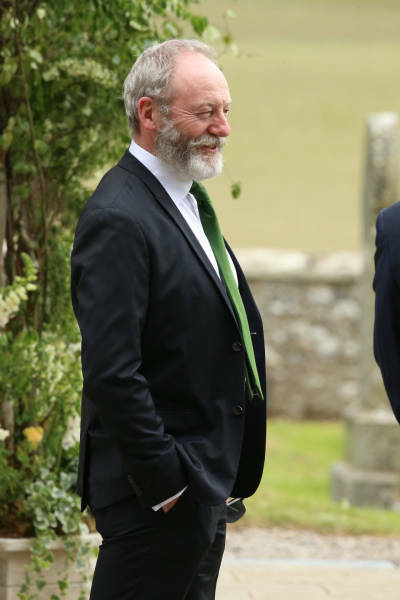 Liam Cunningham (Ser Davos Seaworth) looked dapper in a green tie.